What Are Some Myths About Insulation? Insulation can provide you with amazing energy savings and other improvements to the quality of life in your home. 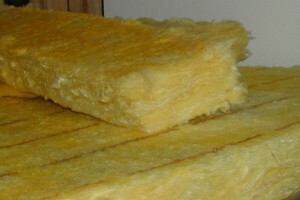 However, common misconceptions about insulation often prevent homeowners from making this valuable home improvement. Don’t let misinformation about insulation stop you from contacting a licensed, professional contractor from evaluating your home’s insulation needs. Read on to get the real scoop on some common myths about insulation. While most people think of insulation as a warm, fuzzy blanket for their home in winter months, insulation actually acts more like the casing of a thermos. Properly installed, it can help keep your home warm in winter and cool in summer by acting as a buffer against outdoor weather. Therefore, it can keep energy bills down all year round by helping hold heat in in the winter and keeping air conditioner use lower in summer. By upgrading your home’s insulation, you can save up to 50 percent on energy bills in winter and 25 percent in summer. The Department of Energy and local buildings codes recommend certain R-values, which indicate thermal resistance, for walls and ceilings. However, no matter how high your new insulation’s R-value, unless it’s installed properly and the area is properly sealed against moisture and air infiltration, the insulation can’t perform up to its advertised level or keep its lifetime value. Air infiltration, not lack of proper insulation, is actually the main cause of energy loss. Before installation, ask your contractors how they seal against air infiltration, address moisture issues and ensure proper installation. Many people with older, drafty homes believe they’ve missed out on having good insulation once the walls are up. This is because they’re thinking of the rolls of fiberglass batting installed between joints of new homes, and figure they’d have to rip out walls to insulate. However, two relatively new products are available to make historic homes warm and toasty. Blown cellulose insulation and spray foam insulation are both blown into wall spaces, crawl spaces and other draft points using high pressure air. Spray foam insulation has the added benefit of expanding before it solidifies, enabling it to reach into every little nook and cranny. Saving energy is the reason most homeowners point out when they install insulation. However, it also provides excellent soundproofing, particularly important in homes with high ceilings, noisy neighborhoods or small children. Revamped insulation can also be a big selling point should you decide to put your home on the market in the near future. It’s always a plus to be able to add new insulation and associated lower energy bills to your home’s list of attributes. ← What Does HVAC Mean?